I love rocks and crystals! They have always been a part of my life growing up. I remember as a child, picking the beautiful colored wet stones that came from the lakeshore or the sparkly crystal rocks from the driveway. They became a part of my collection on top of my dresser in my room. I would study them, hold them and even sleep with them under my pillow. I truly connected with my crystals. I am still collecting rocks and crystals as an adult but they now have uses other than being pretty or sparkly. My crystals and gemstones are not only beautiful but have healing energies to help put our bodies into balance. Each crystal that I collect has high vibration healing energies which connect with various parts of your body, your emotions, your spirit and your life. 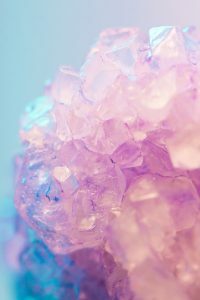 When I combine crystals with energy medicine techniques the healing energy becomes even more powerful. It feels like stepping into a beautiful healing vortex of energy! Crystals give the extra boost to release your negative energies that have become stuck in various areas of your body. These stuck energies can be caused by negative self thoughts, trapped thoughts of others, traumatic events in your life, dark entities, negative earth energies and so much more. They create imbalances with in you, leading to physical diseases, addictions, depression, allergies and so many other things which can create havoc in your life. When using crystals with energy medicine healing, all crystals are intuitively chosen just for you and your specific needs. The crystal grid I create is also done intuitively for your maximum flow of healing energy. I use a massage table for most energy sessions and the crystal grid is created under the table so the energy first reaches the front or back side of the Chakras depending on your body placement. Other crystals are placed on or around the body as needed. When I intuitively see your pain energy, I palace my hands on or around the stuck energy and bring in divine positive healing to that area. As I work around the body I release pain energy through various techniques such as meridian release, chakra balancing, spirit to spirit cleansing, Karuna Reiki and so much more.